Last week, we posted about a Boston City Council hearing scheduled for this Monday on protecting and enhancing the American Legion Parkway area in Roslindale. Reports are that the hearing was wildly successful. Each neighbor’s testimony, whether by letter or personal appearance, was powerful, informative, and from the heart. Together, residents from around the area made this corridor neighborhood visible to the City. City Councilors Murphy, Wu, and O’Malley showed great enthusiasm for the project, and expressed willingness to facilitate multi-departmental collaboration on behalf of the project. Below are additional maps to supplement the ones posted here earlier. 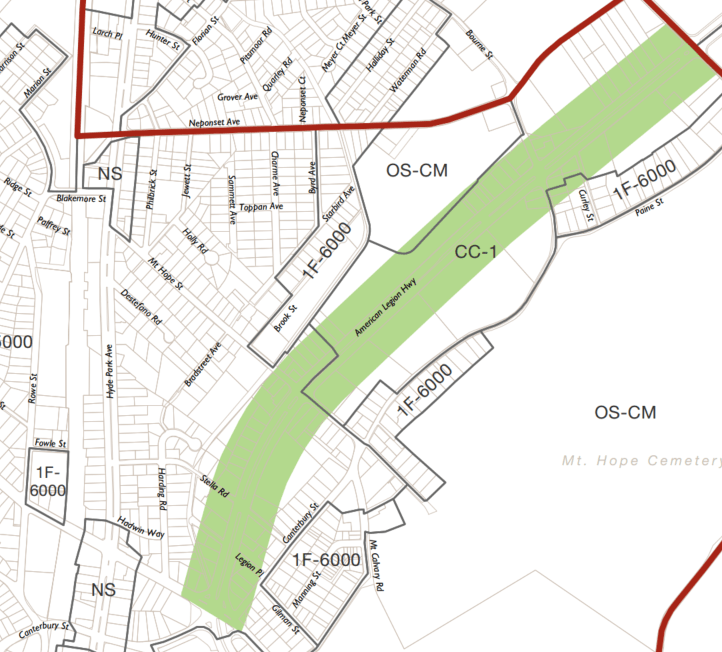 Although the city Open Space Senior Planner indicated at the hearing that American Legion area was not “Greenbelt Protected,” these maps show that it is.